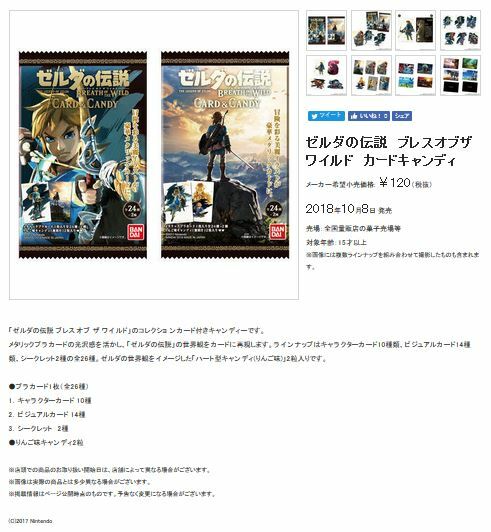 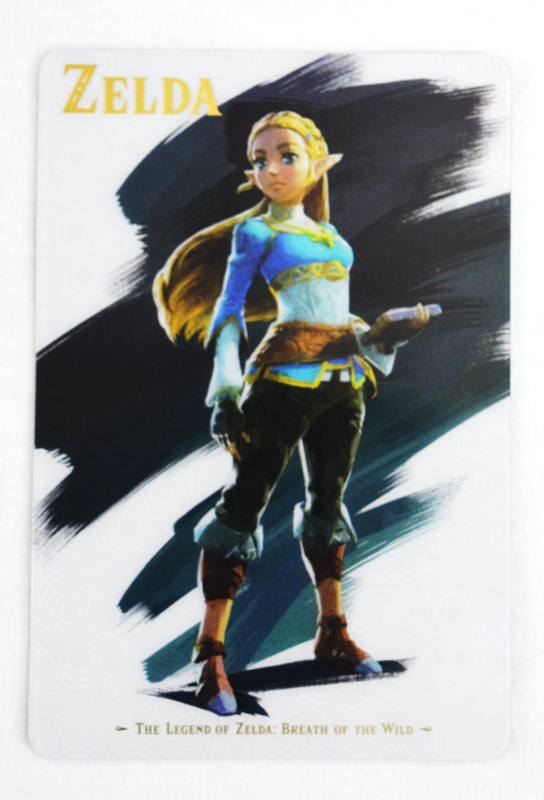 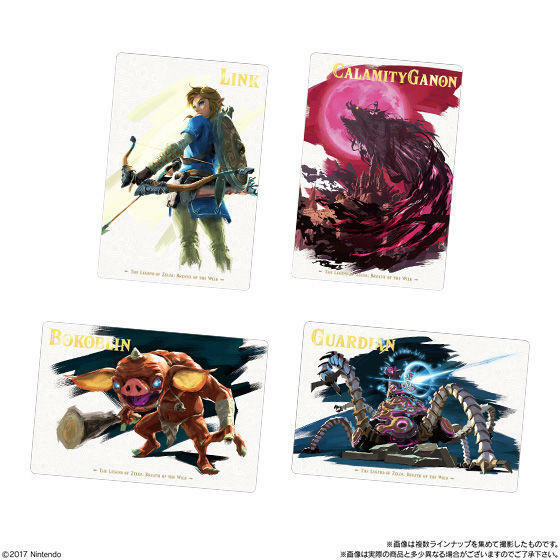 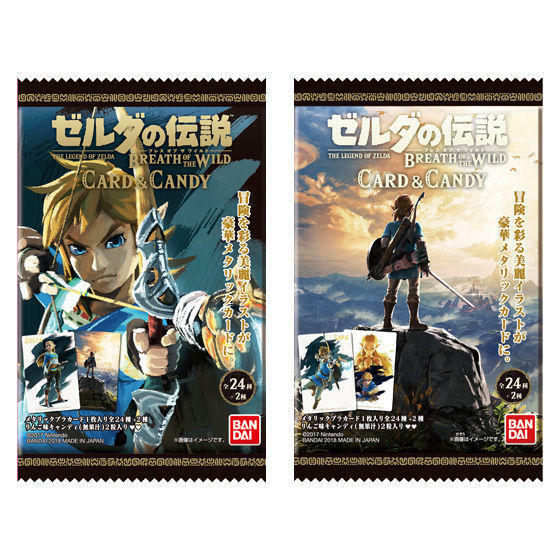 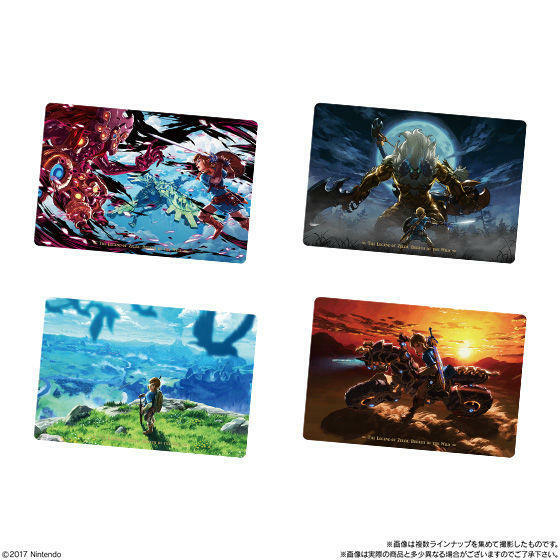 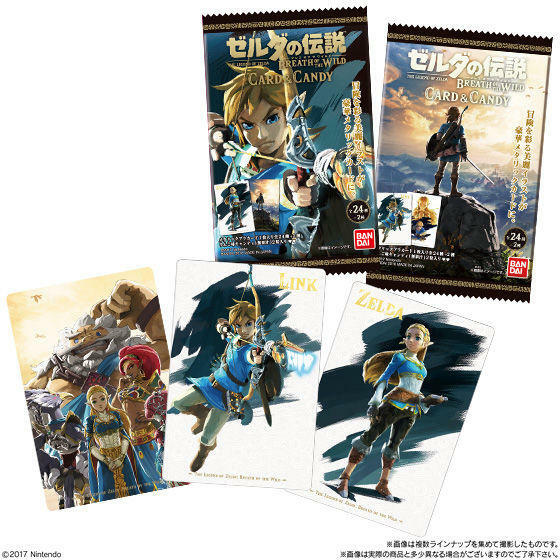 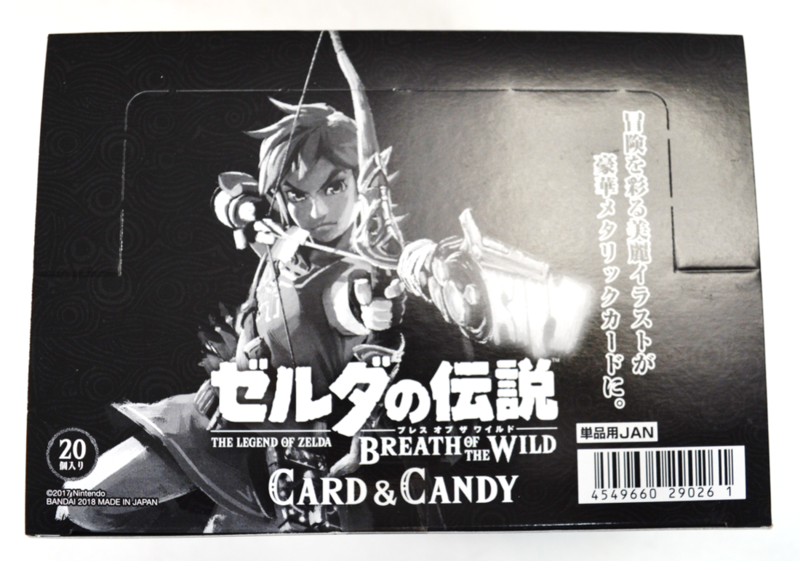 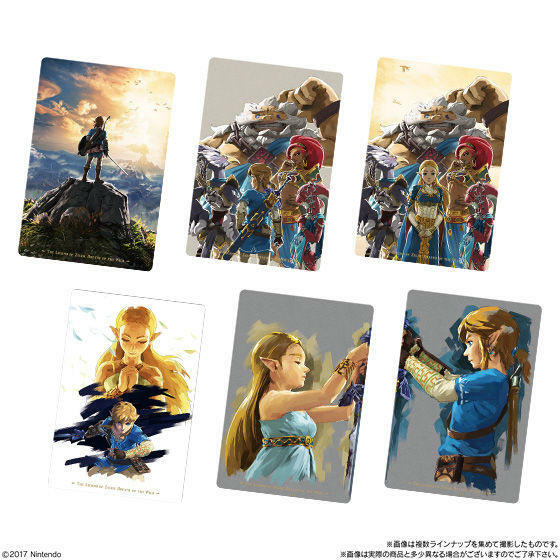 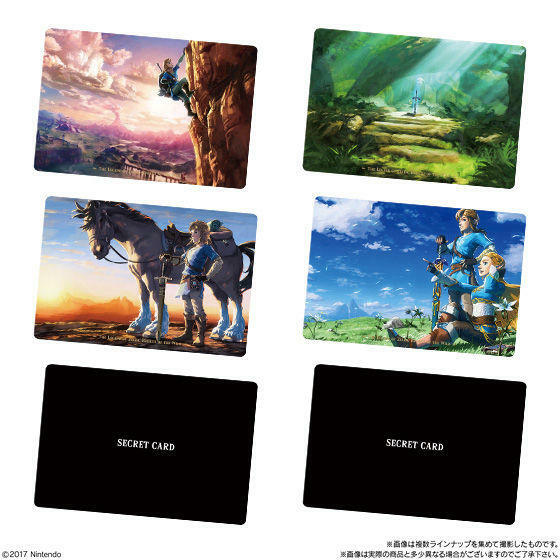 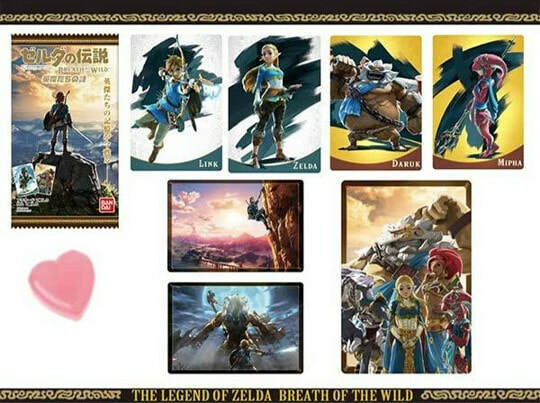 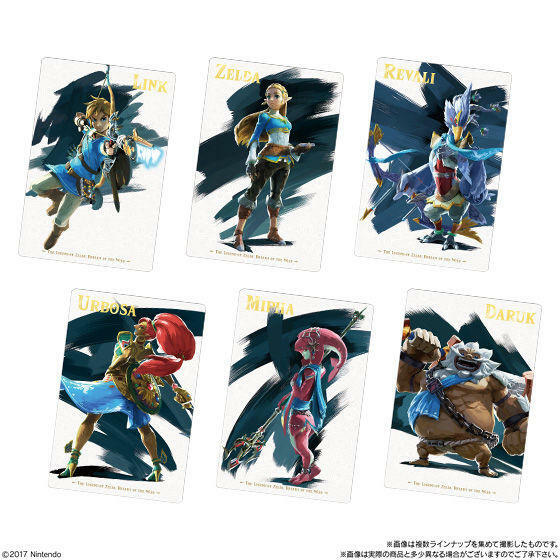 "The Legend of Zelda Breath of the Wild Card Candy Manufacturer suggested retail price: ¥ 120 (excluding tax) October 8, 2018 Release Sales floor: Confectionary floor of mass retailers nationwide Target age: 15 years old or more ※ The image includes images taken by combining multiple lineups. 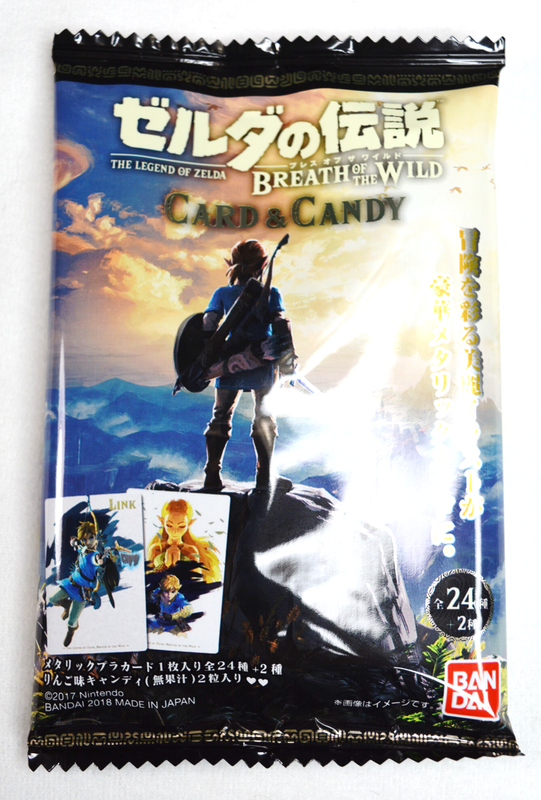 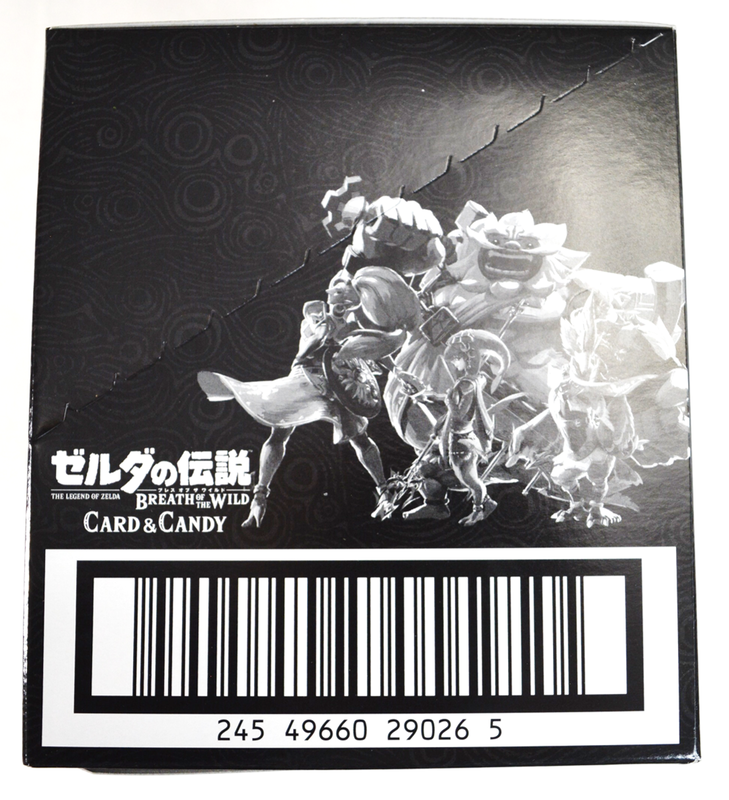 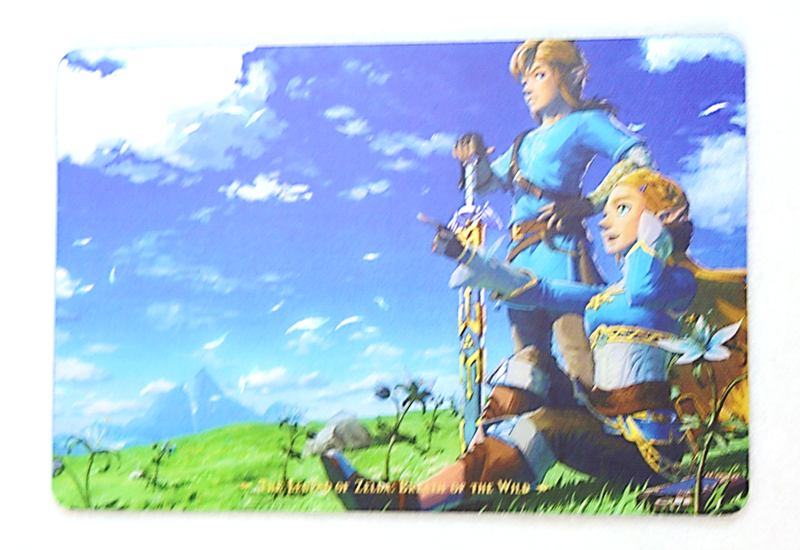 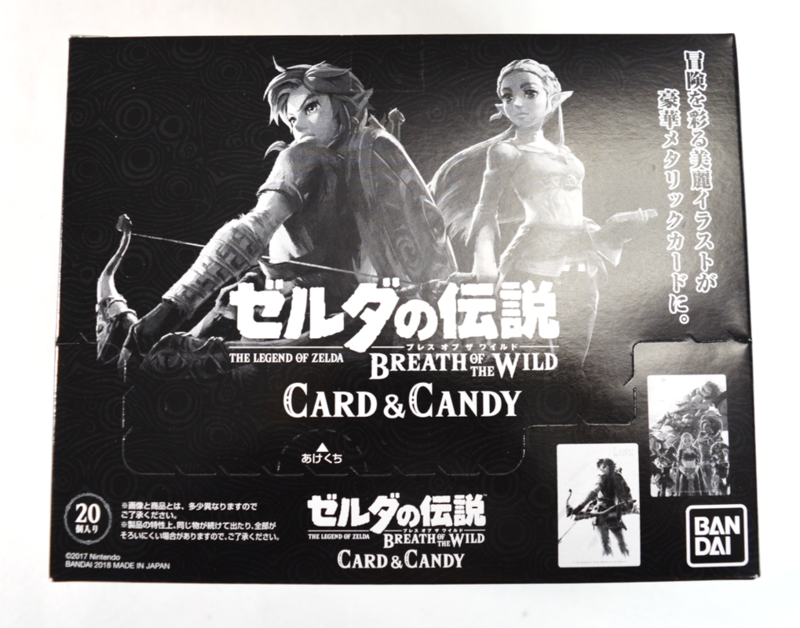 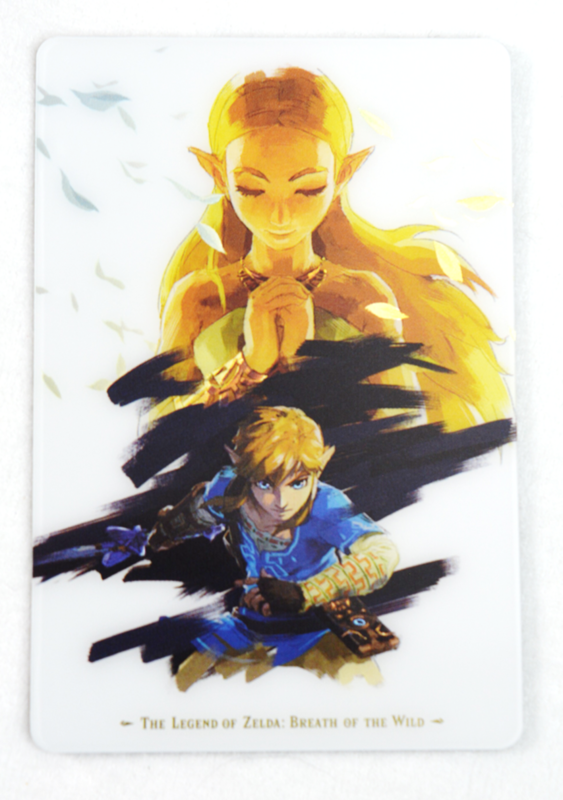 It is a candy with a collection card of "The Legend of Zelda: Breath of the Wild". 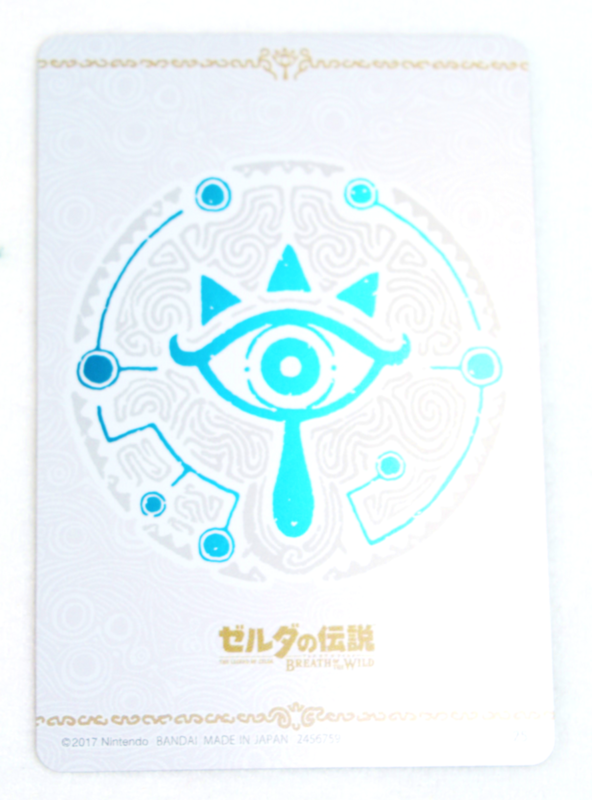 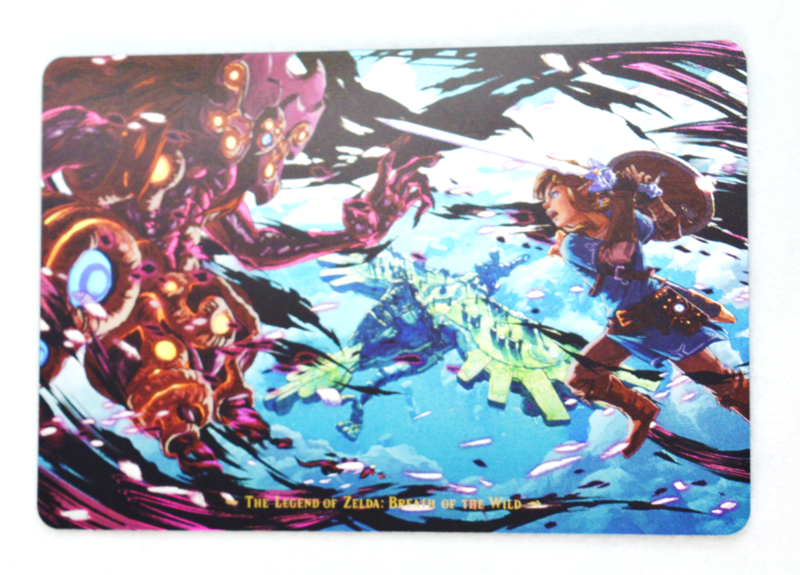 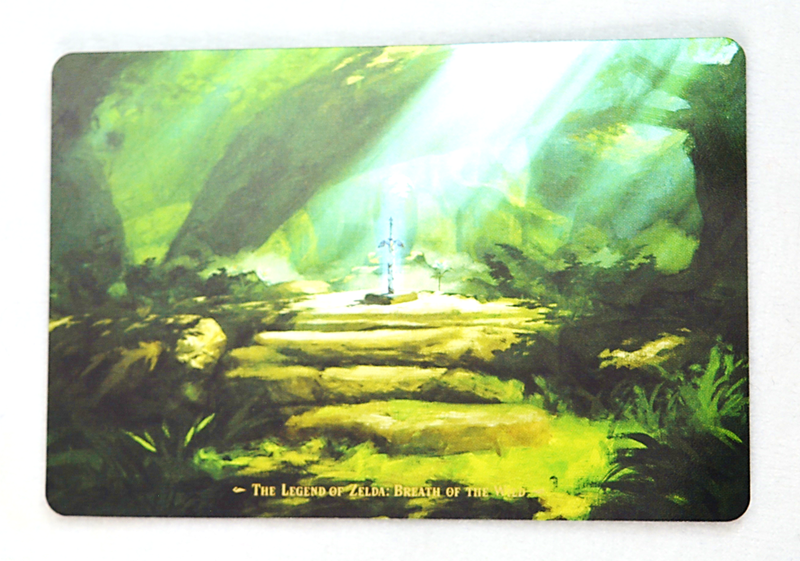 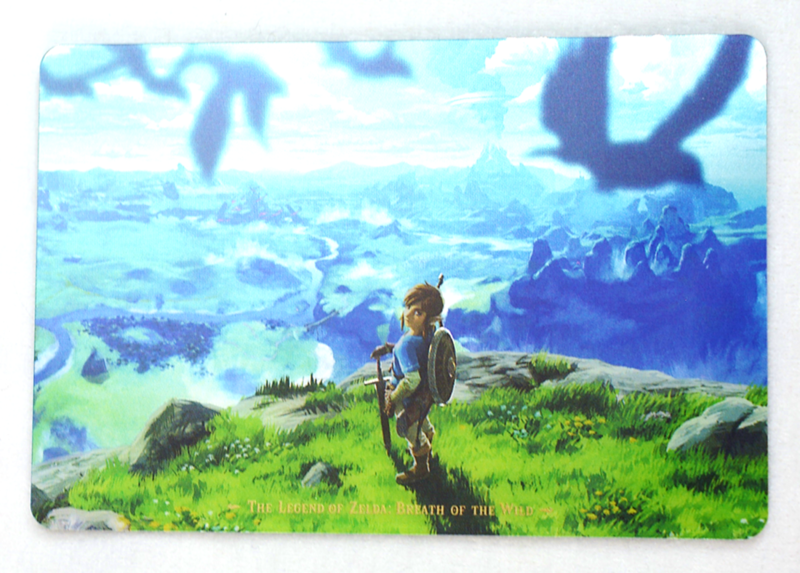 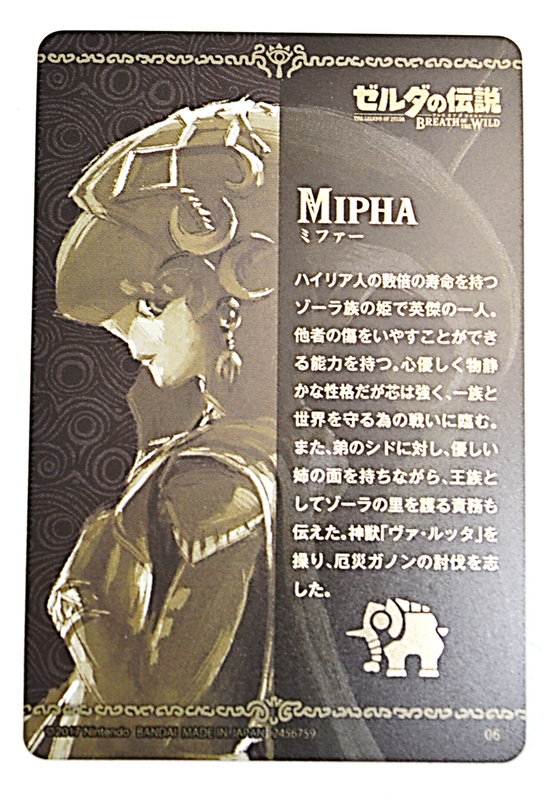 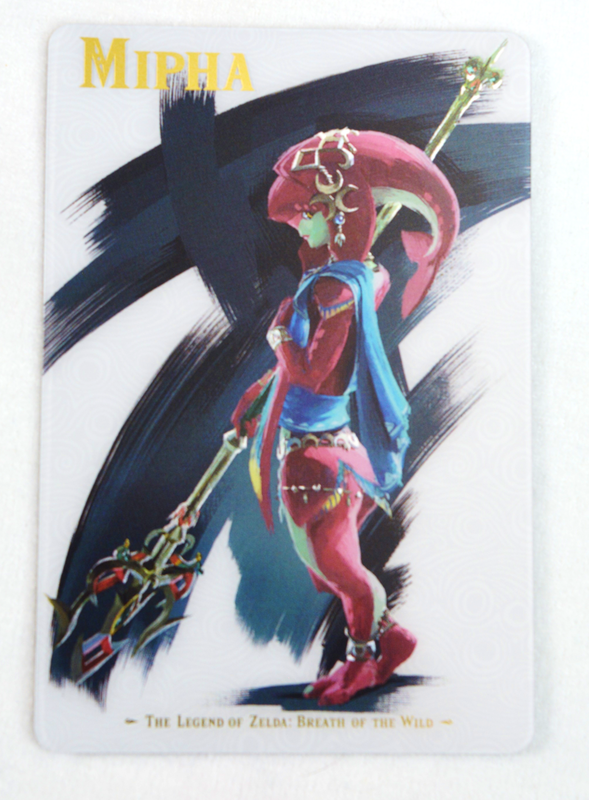 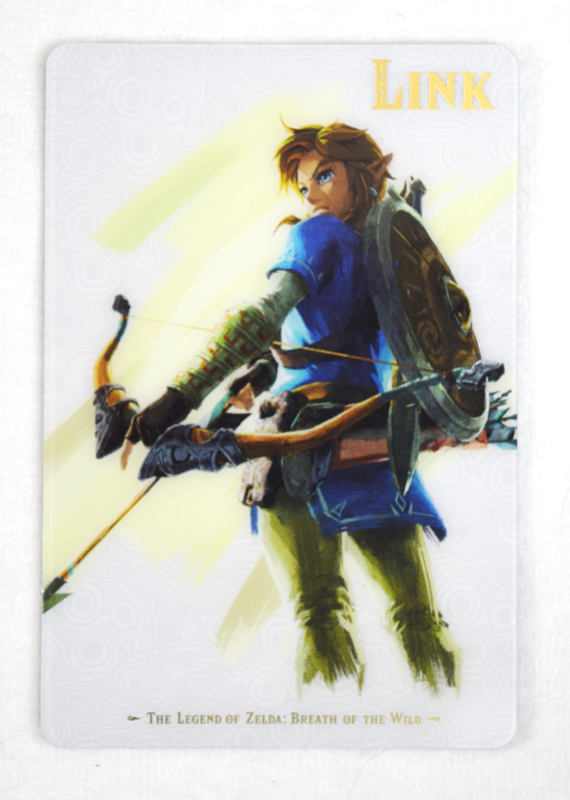 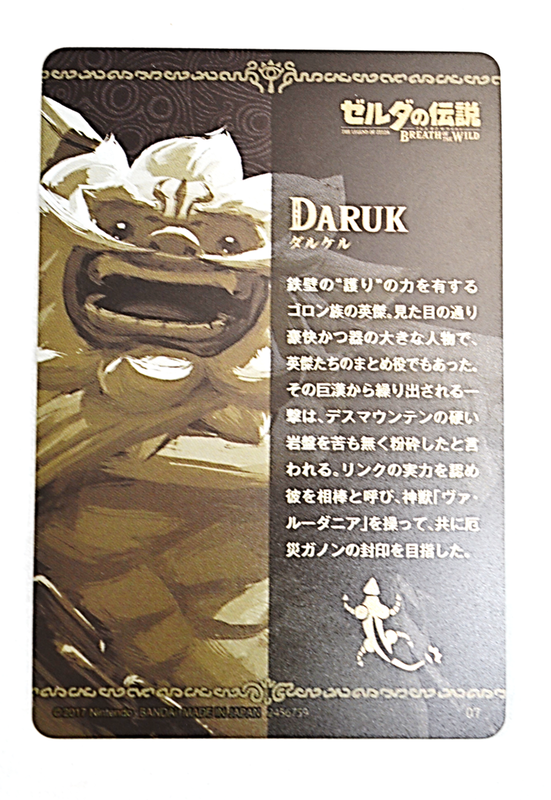 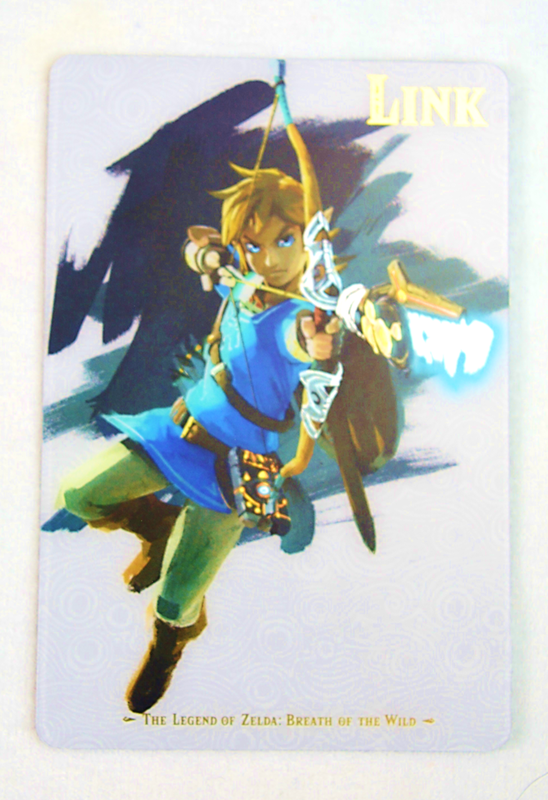 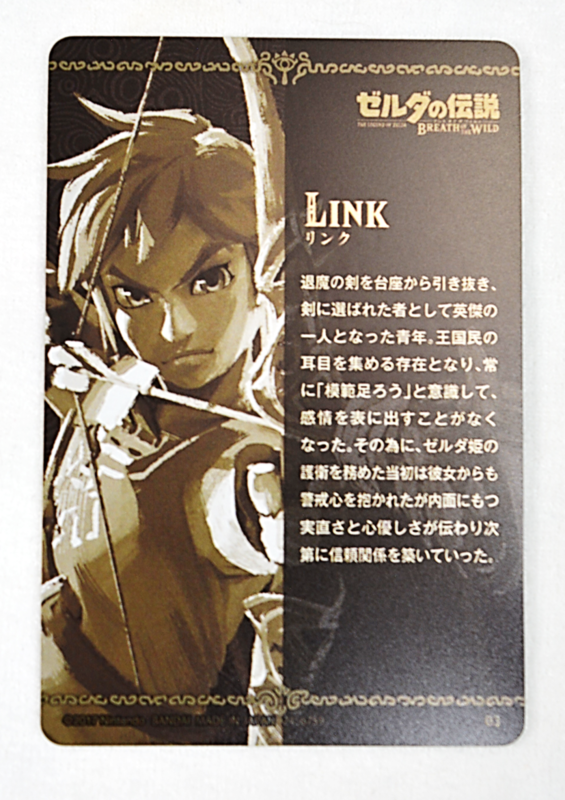 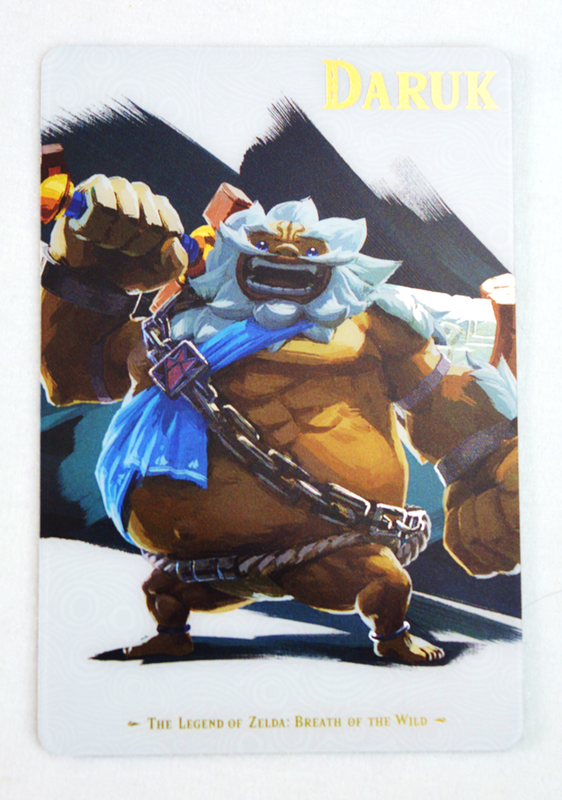 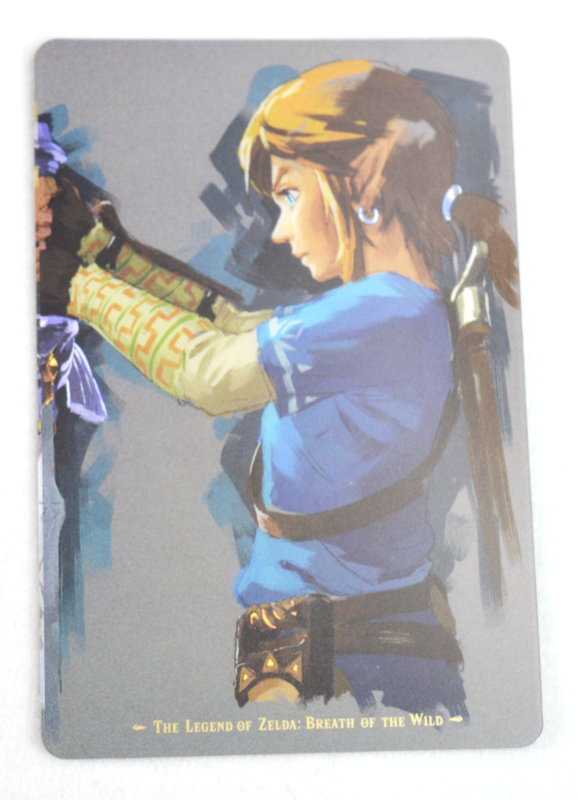 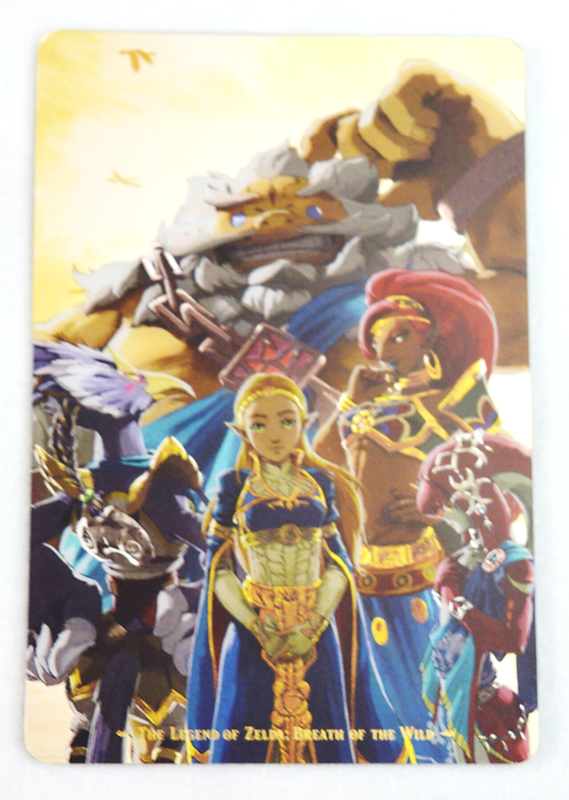 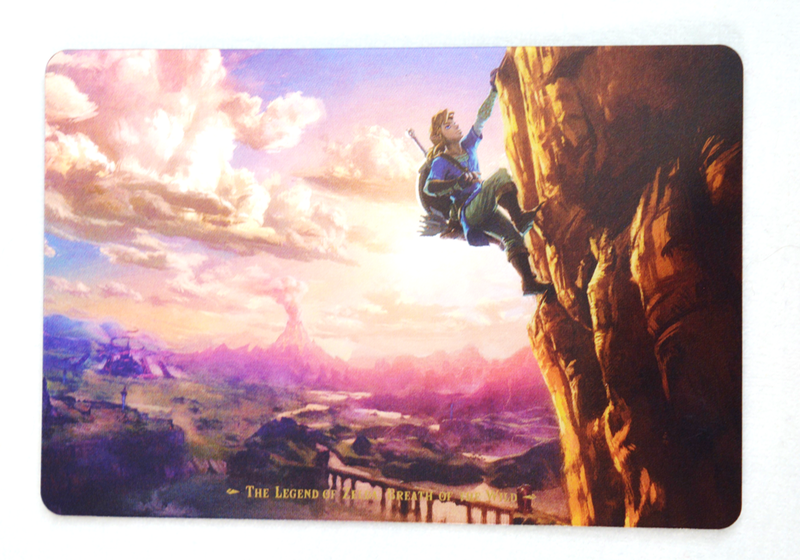 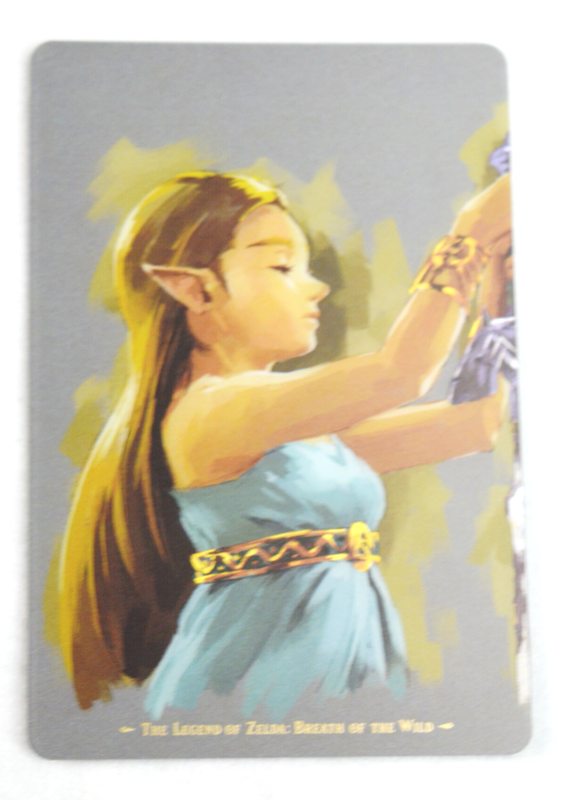 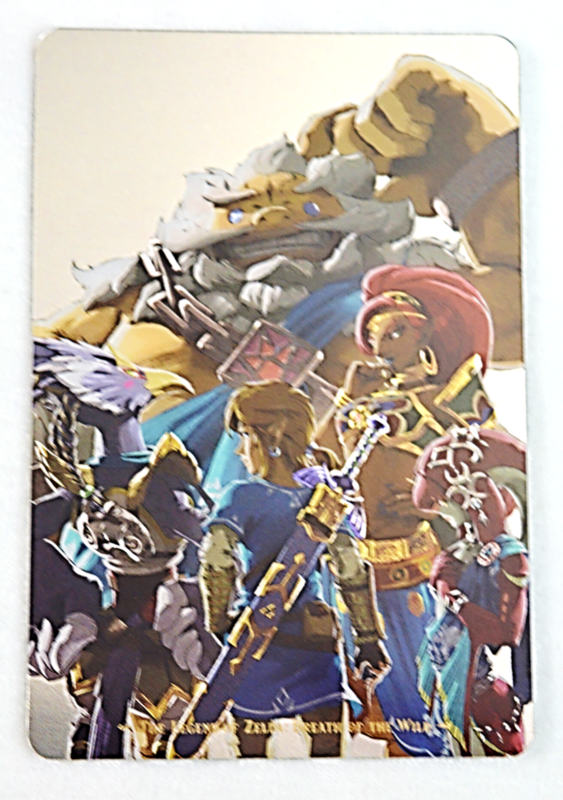 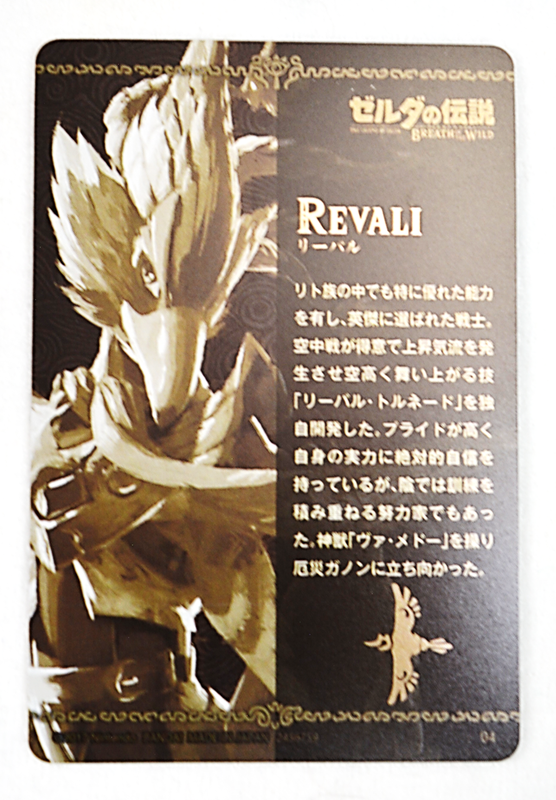 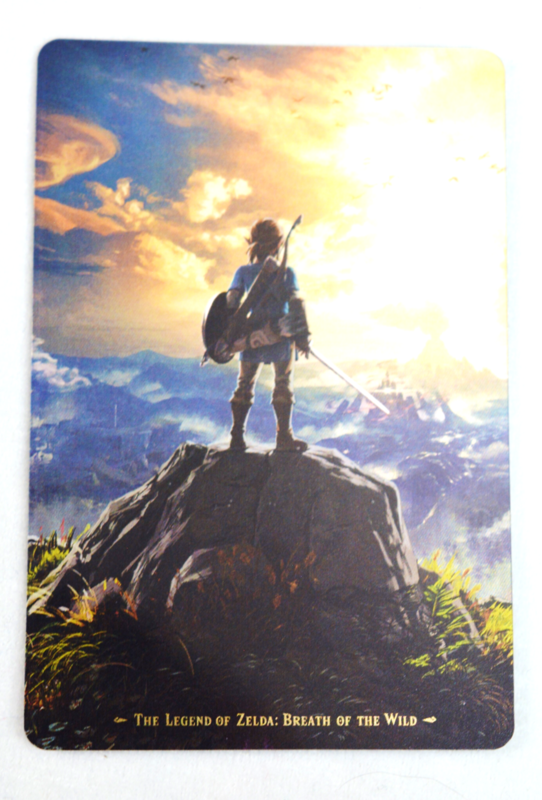 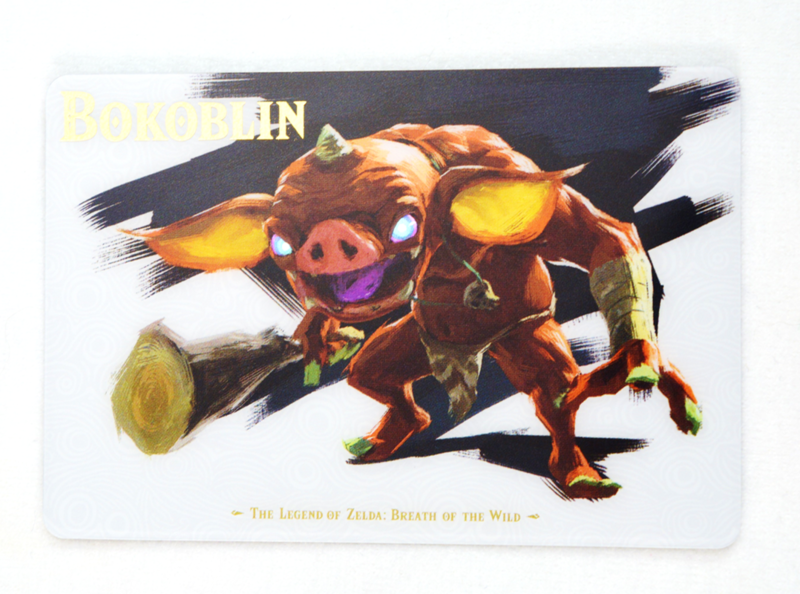 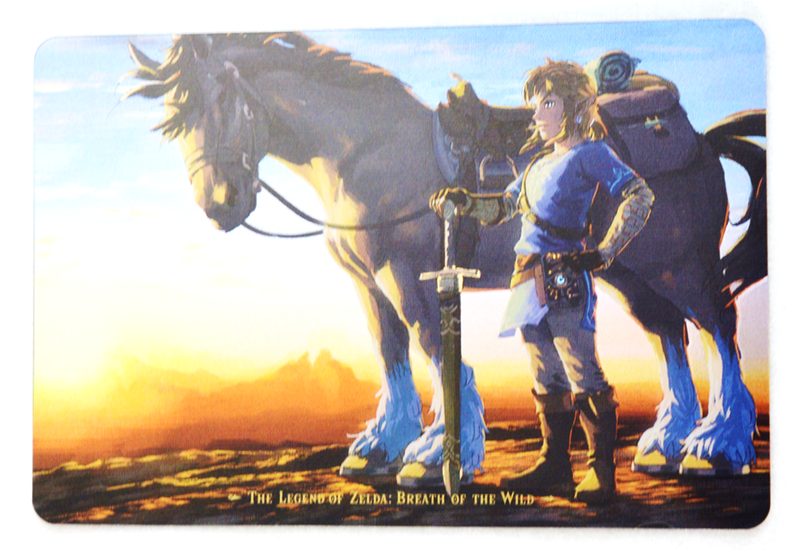 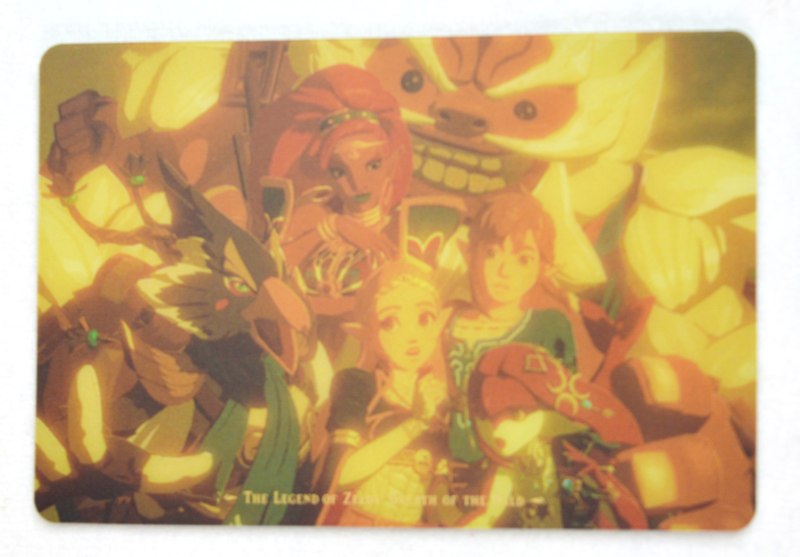 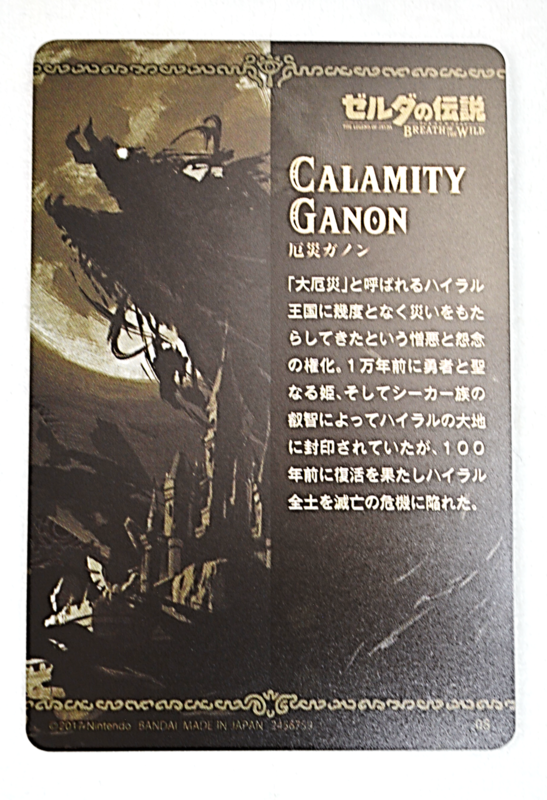 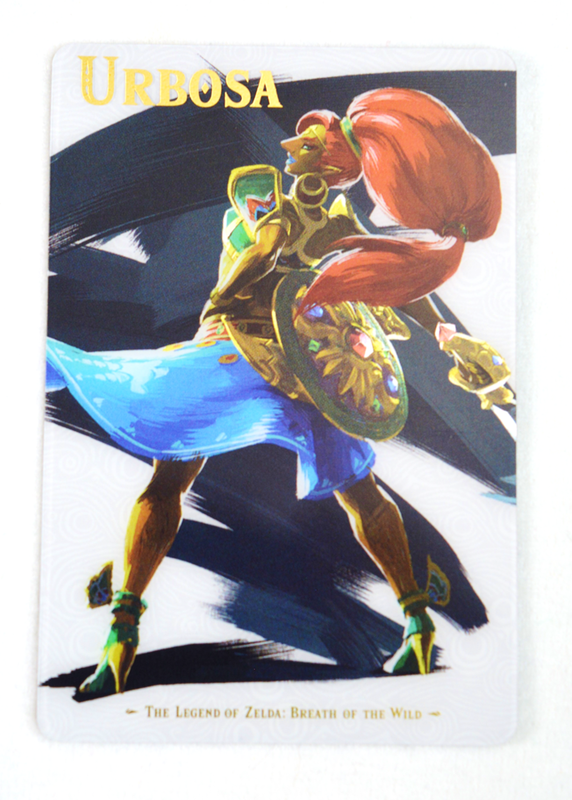 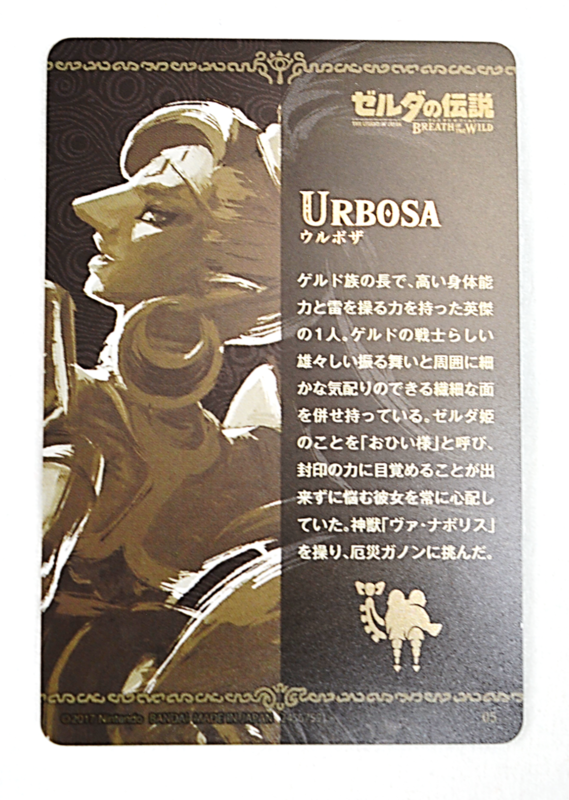 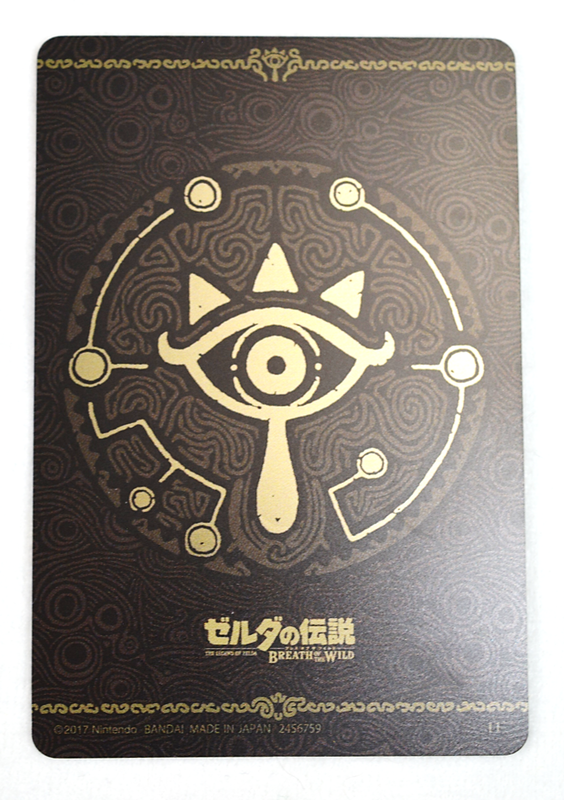 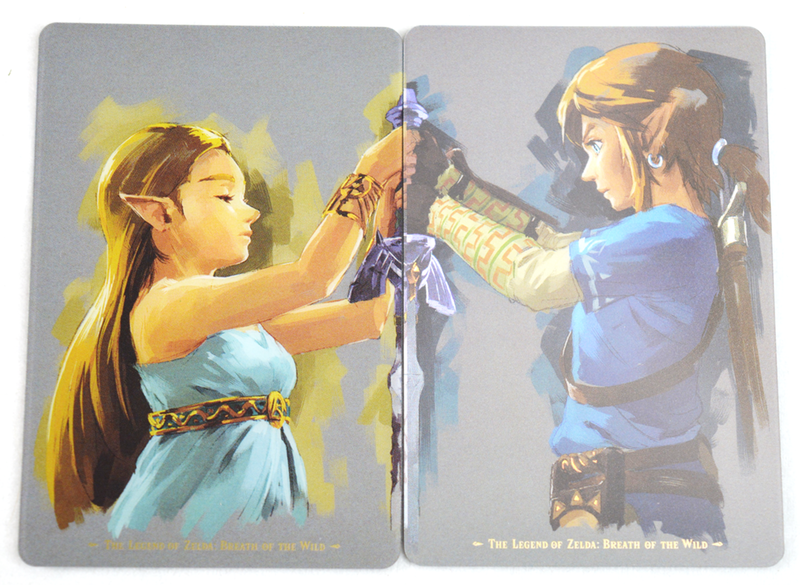 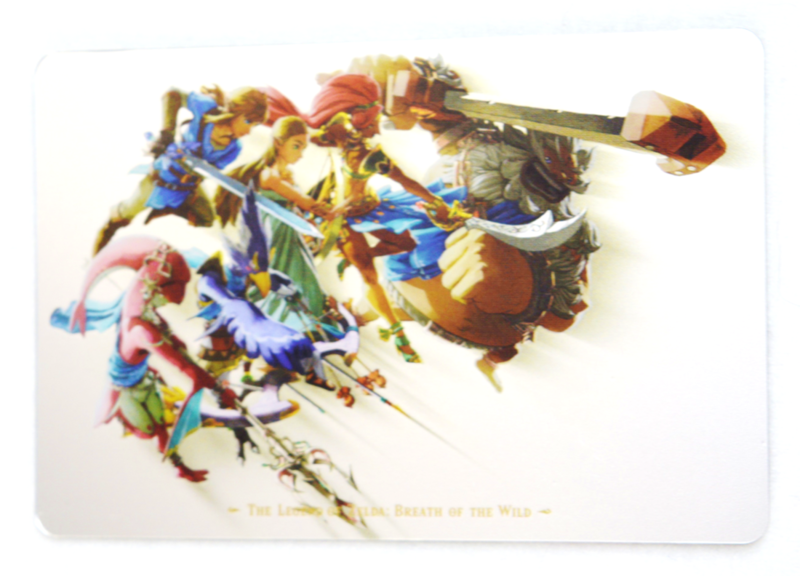 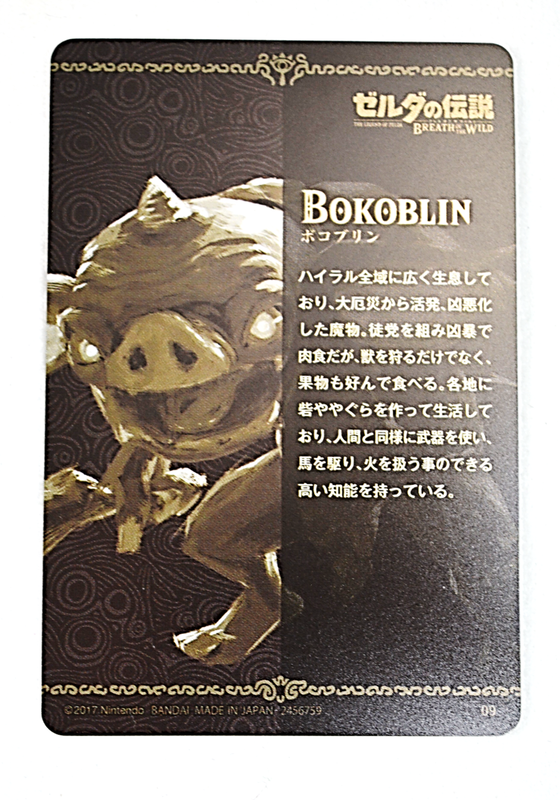 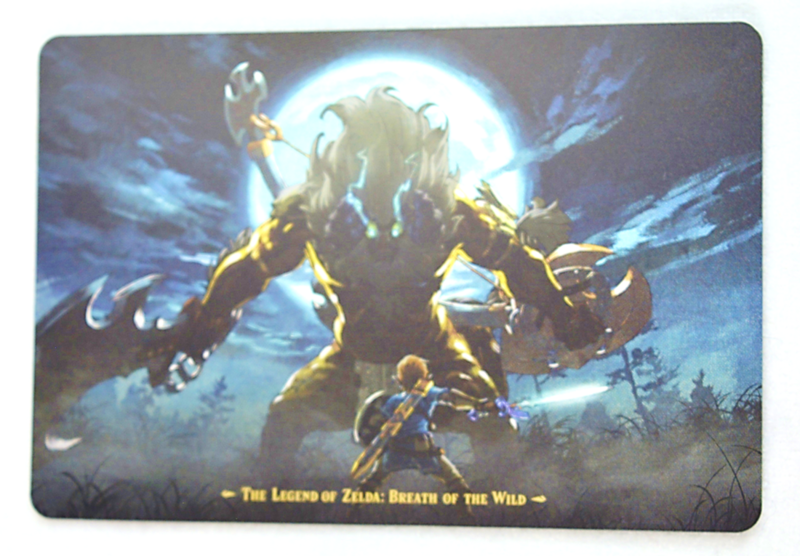 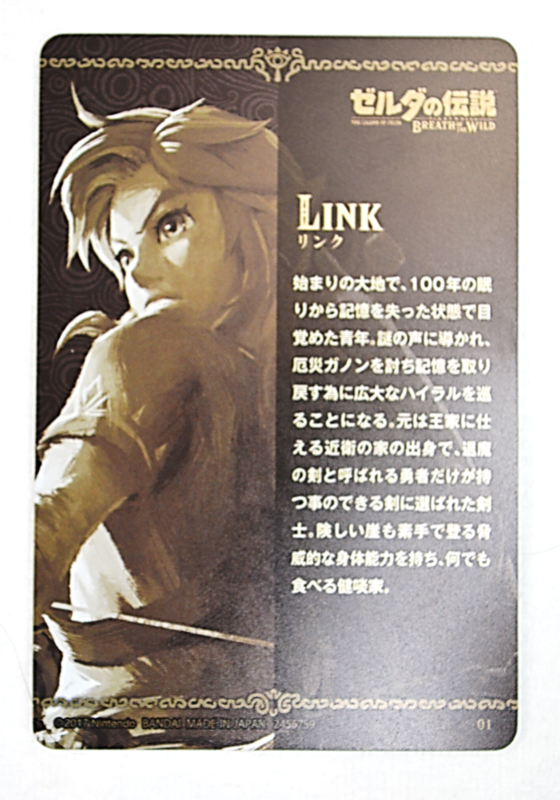 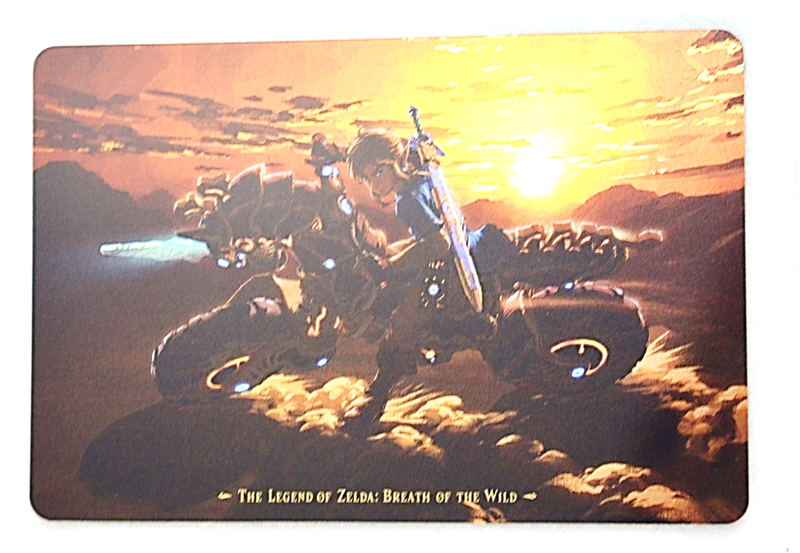 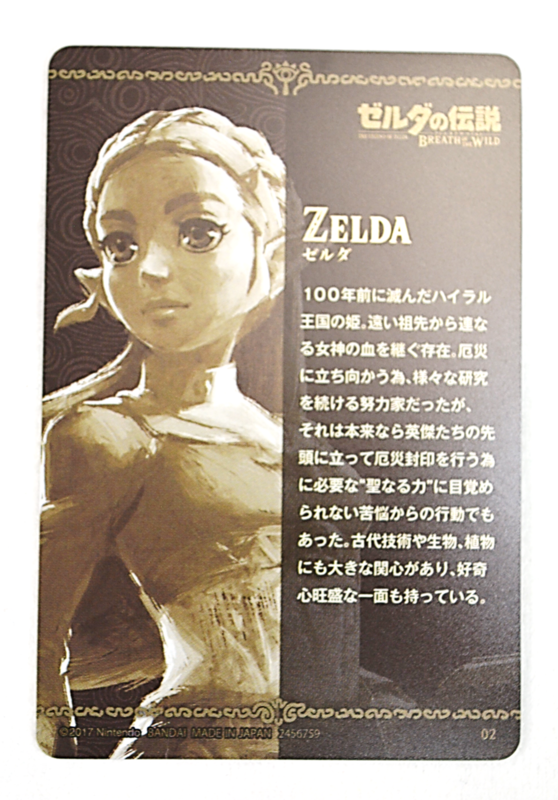 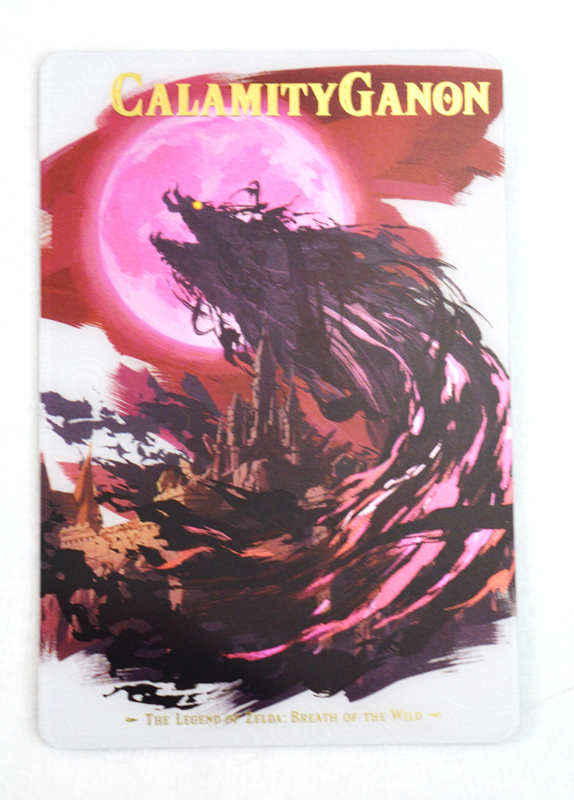 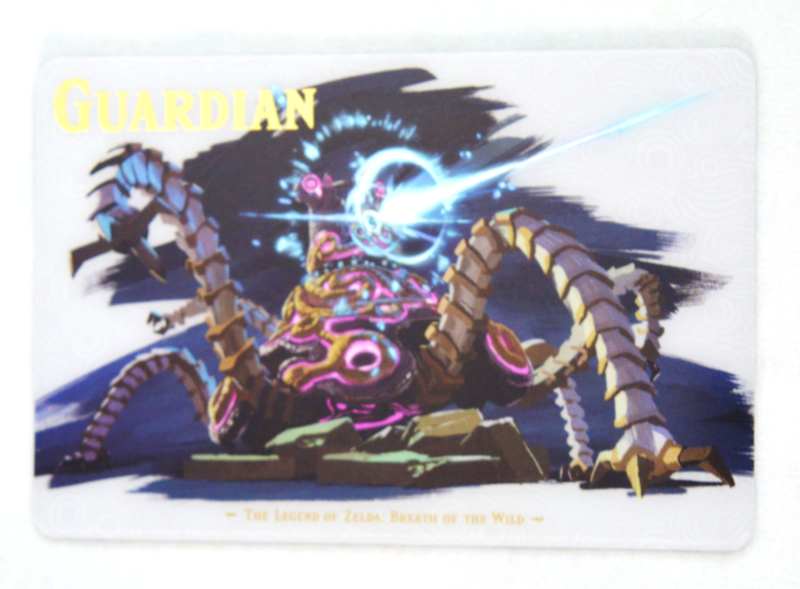 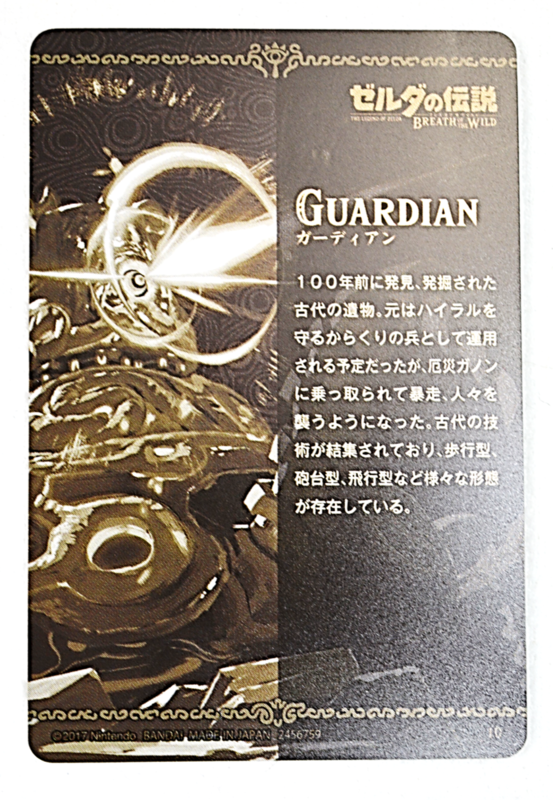 Using the metallic placard's luster, it reproduces the world view of "The Legend of Zelda" on the card. 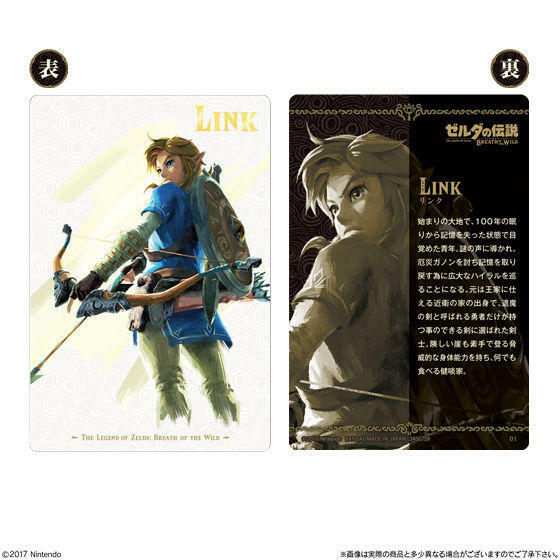 The lineup is 26 types of 10 character cards, 14 visual cards and 2 secrets. 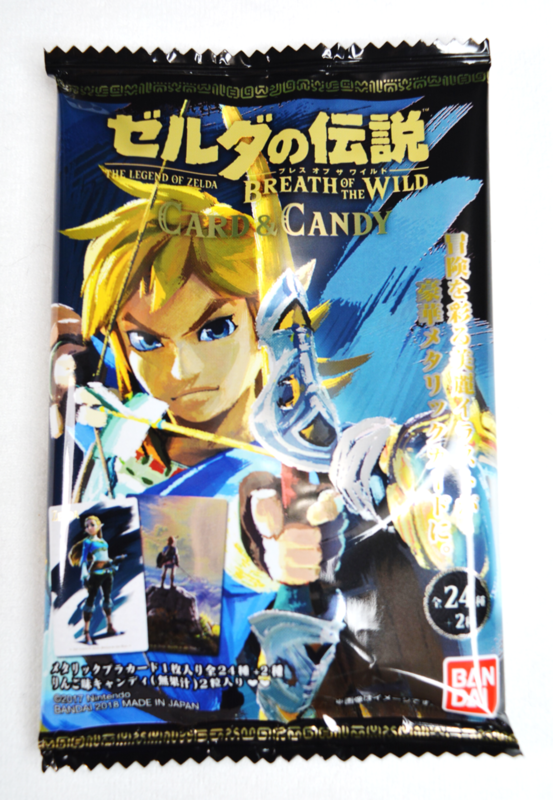 "Heart-shaped candy (apple taste)" that contains the image of Zelda's world is 2 tablets. 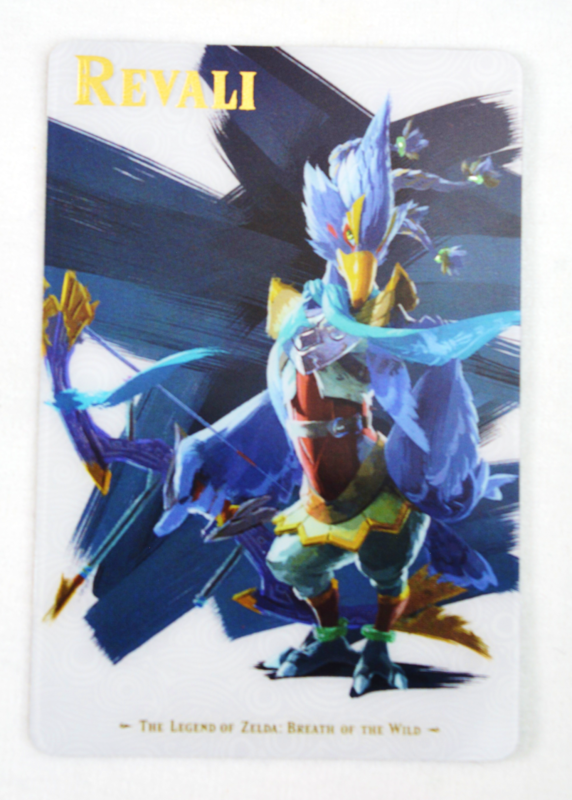 ● One placard (all 26 species) 1. 10 character cards 2. 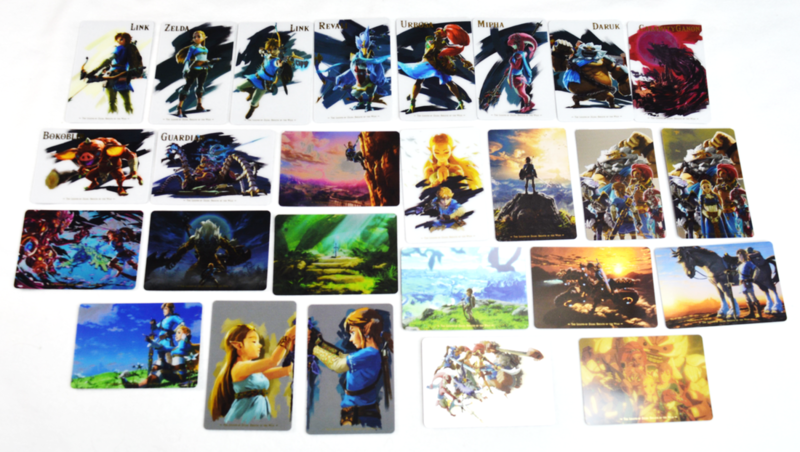 14 visual cards 3. 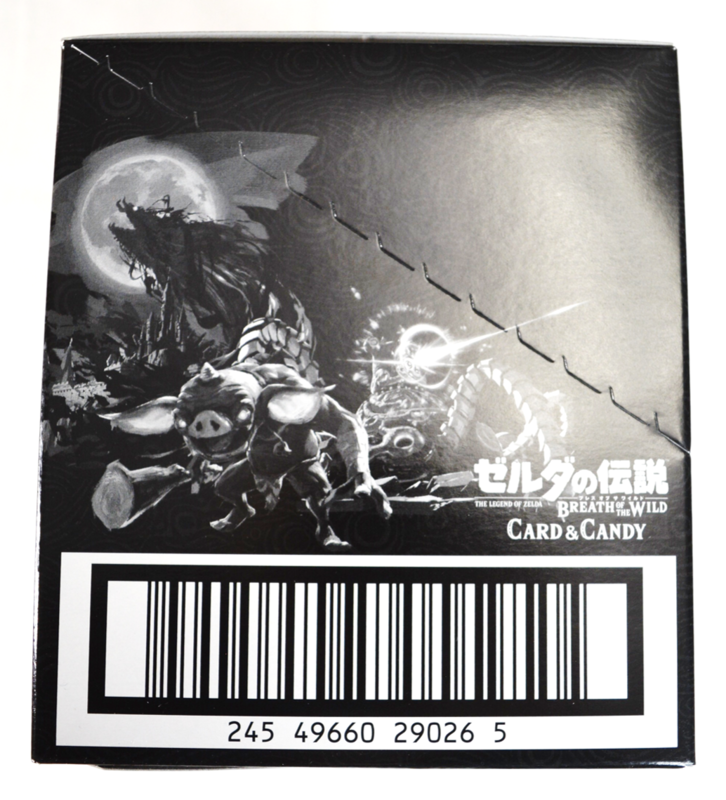 Secret 2 types ● 2 pieces of apple taste candy ※ The product handling start date at the store may differ depending on the store. 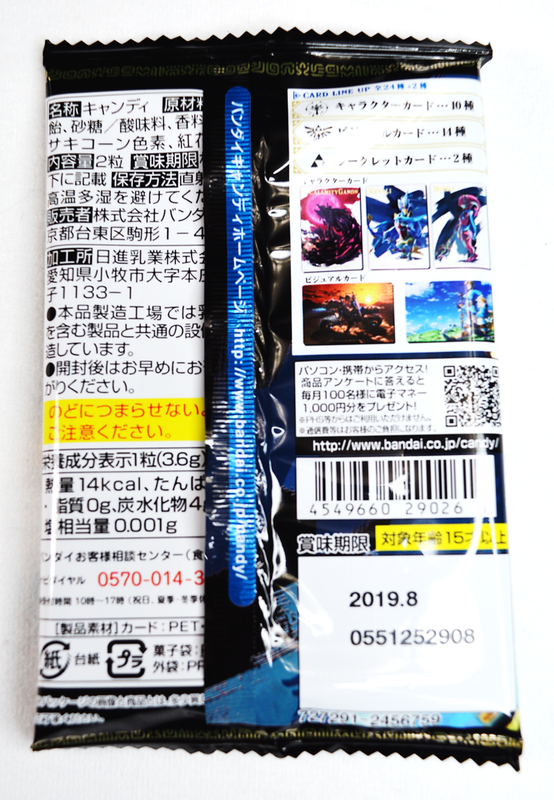 ※ The image may differ slightly from the actual product. 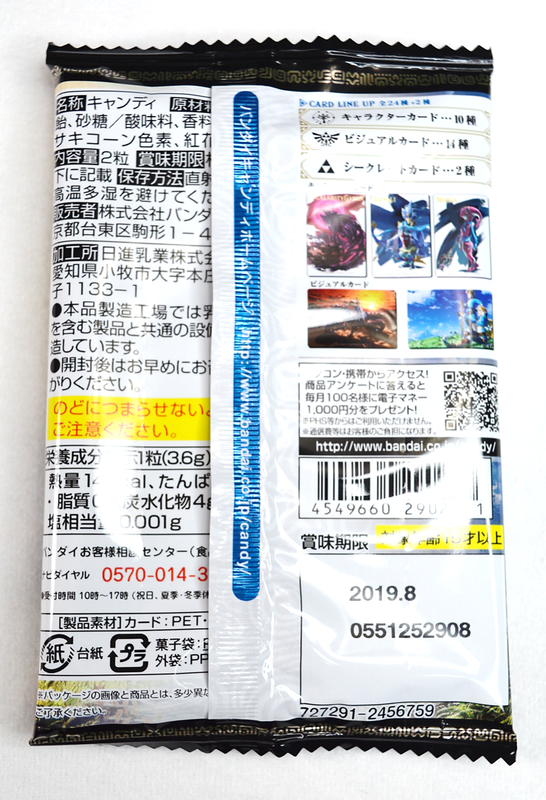 ※ Publication information is thing at the time of page publication. 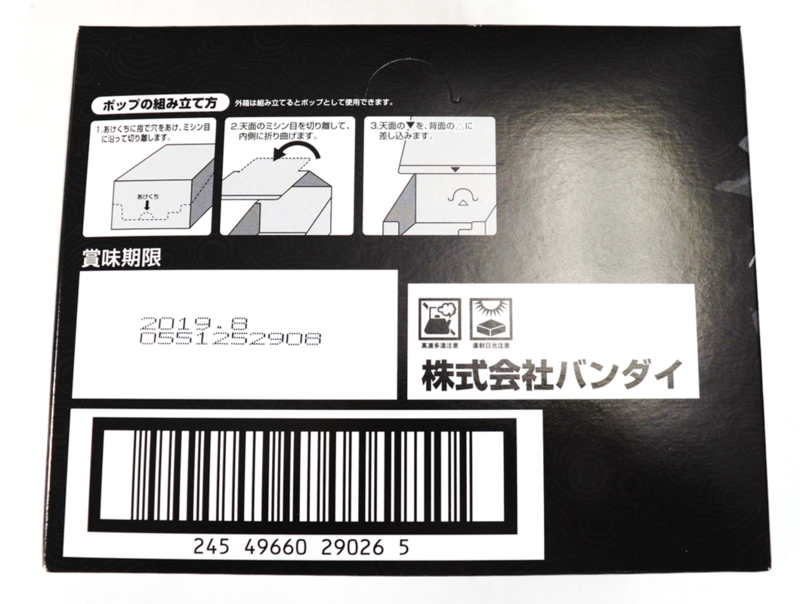 It may be changed without notice."